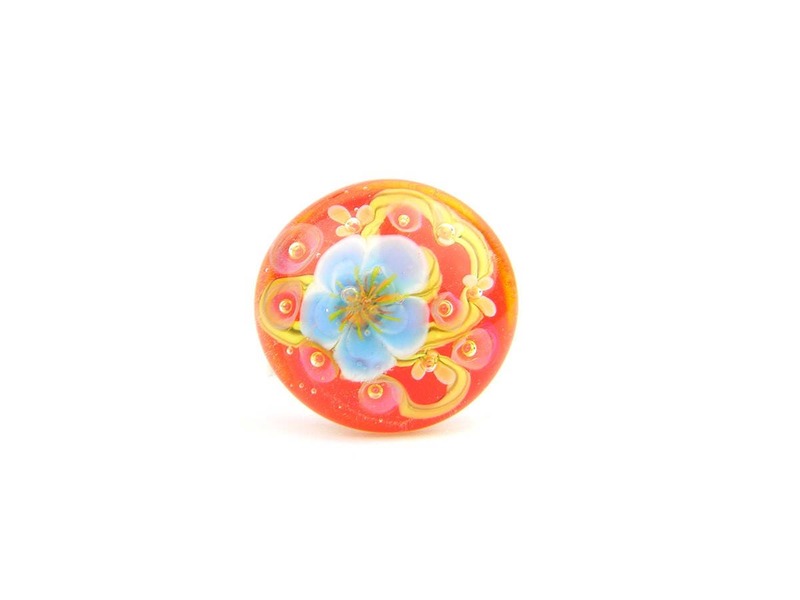 The Poppy Sakura ring was created with one of my unique lampwork glass cabochons, combining a bouquet of sweet blue flowers (note the cute with yellow stamen details!) and a bright opal red/orange background. The thick clear glass on top brings the depth of the design to life! This multi-dimensional ring was created for my Classic Collection. It would happily accompany any style of outfit, adding the extra sparkle and providing you with a little glass world to contemplate any time of the day! 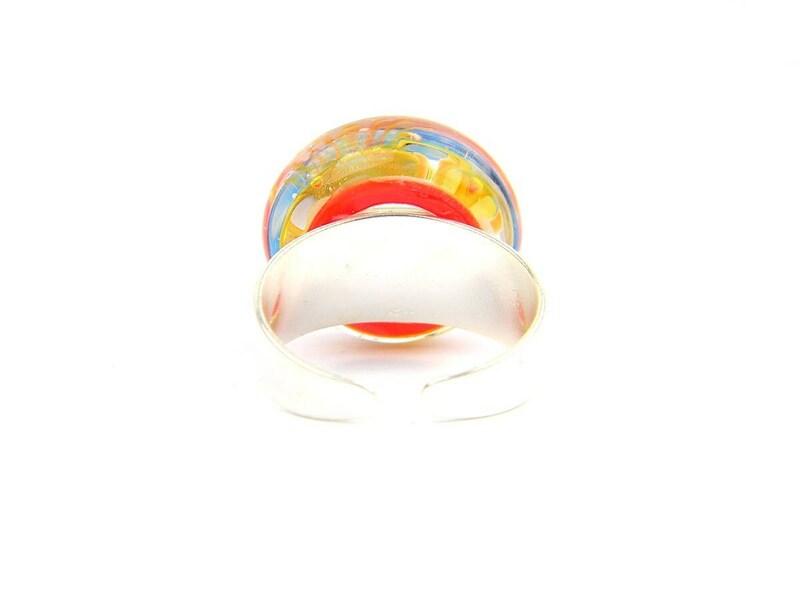 The glass cabochon is attached to a sterling ring base with a very strong clear jewellery glue. 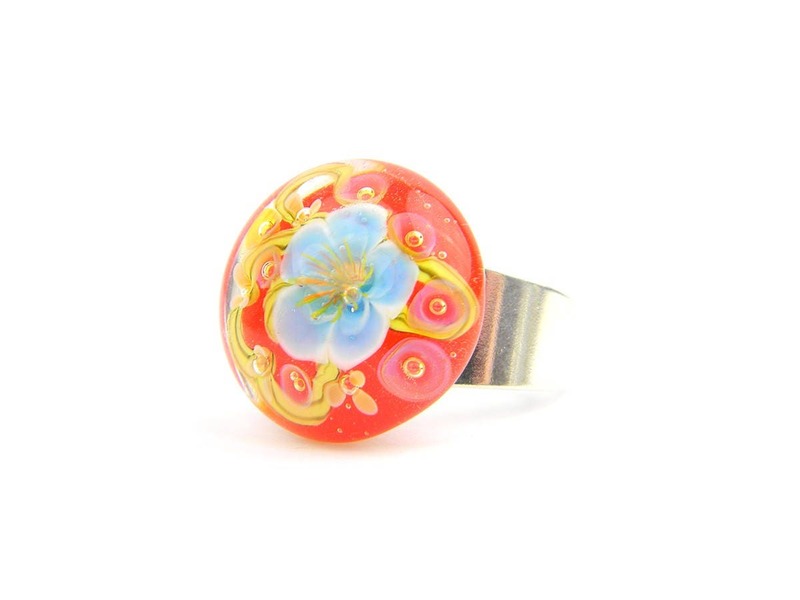 I have been wearing rings such as this one for years and they have all proven to be very resistant!